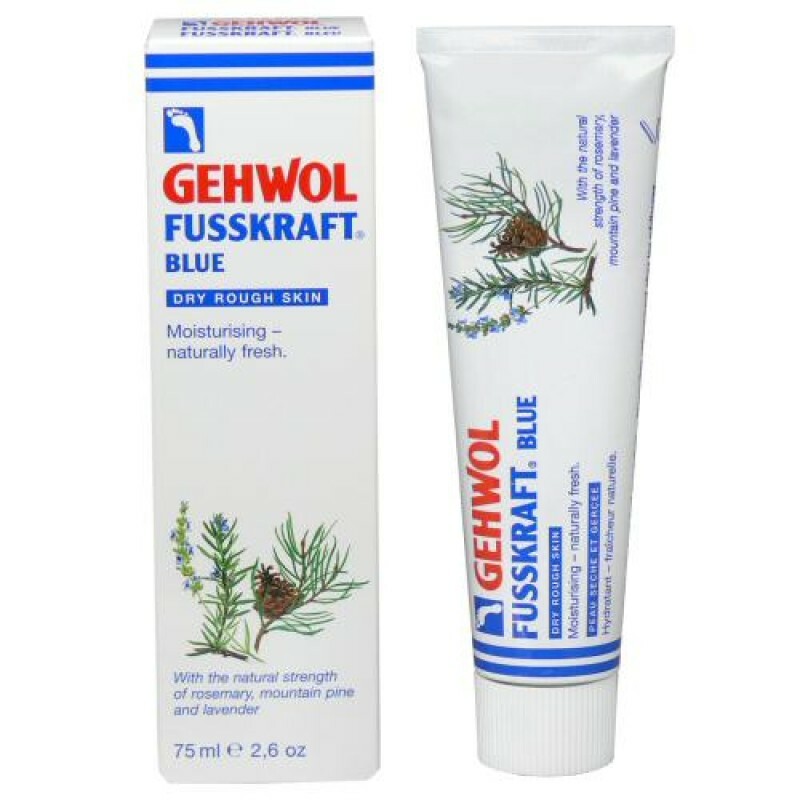 GEHWOL FUSSKRAFT Blue's effective formula with natural caring oils such as lanolin combined with moisturizing aloe vera and urea provides essential care for dry, rough skin on the feet. 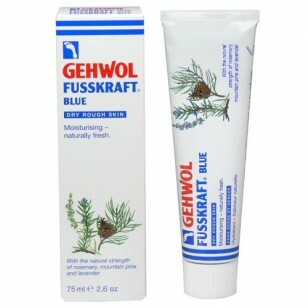 It helps to restore skin elasticity, suppleness and prevent foot odour. Natural essential oils of rosemary, mountain pine and lavender, invigorating camphor and cooling menthol relieves sore, aching feet immediately.